Lovely character home located in the prestigious UBC Endowment Lands neighbourhood. 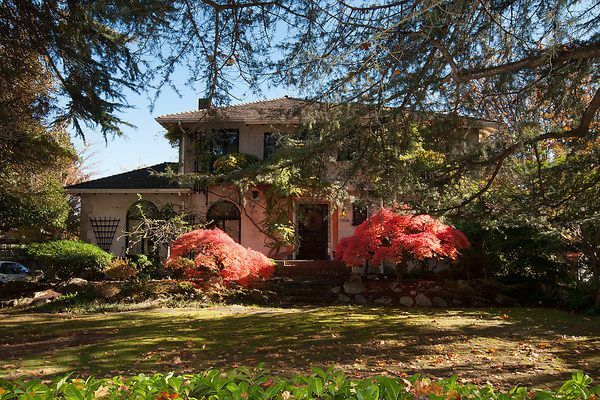 Situated on a large park like estate sized property of 16,000 sf and on a quiet tree lined no thru street. This wonderful family home features beautifulleaded arched windows, coffered ceilings, and lots of custom built-ins. The living and dining rooms are extra large for entertaining and den/family room has a cozy fireplace. With over 3800 sf and 4 bdrms and 2 ensuite baths upstairs this home would be fabulous to update. Just steps to UBC, shopping, Pacific Spirit Park, golf course and beaches. Excellent public schools close by and very close to the city's best private schools.